﻿With technology changing so rapidly, it’s easy to fall behind on the latest products. When Leica informed me about the RTC360 Laser Scanner, I placed an order right away. 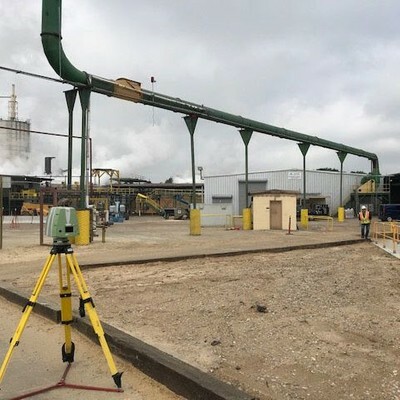 The Leica RTC360 3D laser scanner is highly portable, highly automated, intuitive and designed for maximum productivity spanning many industries. It’s fast, precise and registers point clouds “automatically”. Fast: With a measuring rate of up to 2 million points per second and advanced HDR imaging system, the creation of colorized 3D point clouds can be completed in as little as two minutes. Plus, automated targetless field registration and seamless, automated transfer of data from site to office will reduce time spent in the field and further maximize productivity. Precise: Low noise data allows for better images, resulting in crisp, high-quality scans that are rich in detail and ready for use in a range of applications. 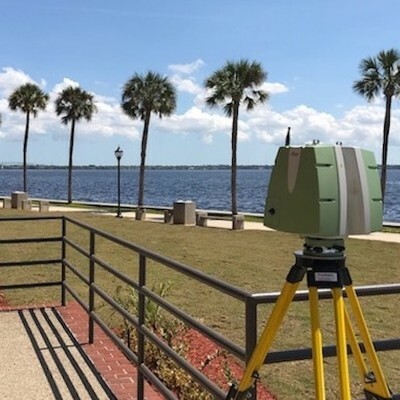 Registers Point Clouds Automatically: The scanner includes a new technology Leica is calling VIS (visual inertial system) that performs automatic point cloud alignment in the field, with no input from the user. 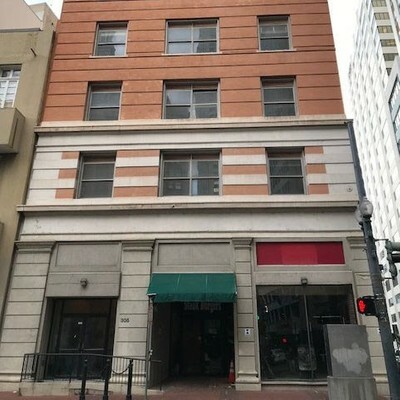 Basically, it uses cameras to track the 3D coordinates of features—like the edges of a door, the floor, or a window—to track your position as you move within a room, between rooms, or even between floors. ﻿﻿Knowing your way around established technology isn't enough anymore. You also have to look beyond today's solutions and be ready for what lies ahead. I am constantly looking for the latest technology, even if it replaces some of the scanners that came online only a few short years ago. Andy Foshee became Regional Manager for the Southeast Region in April. 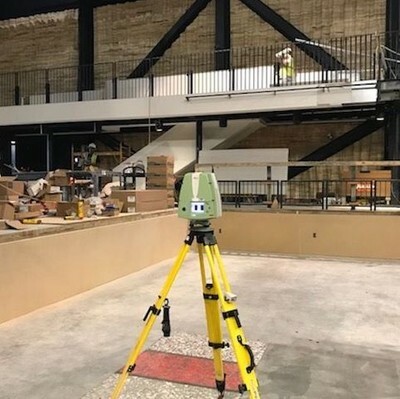 He believes 3D laser scanning helps clients better integrate the plan, design, build, and operations phases of any project. 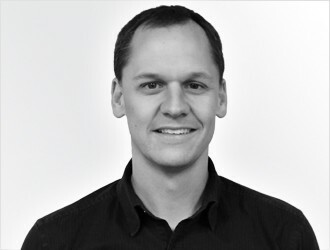 "I really enjoy working with clients that are utilizing laser scanning and BIM modeling for the first time. They seem to always be amazed at the level of detailed information the technology can provide them." 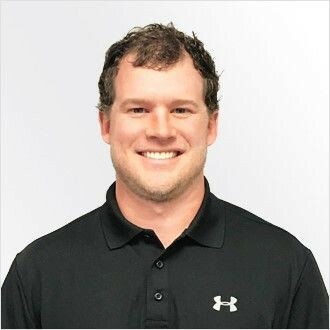 Andy can be reached at afoshee@truepointscanning.com or 615-920-6464 for questions, solutions and project quotes. 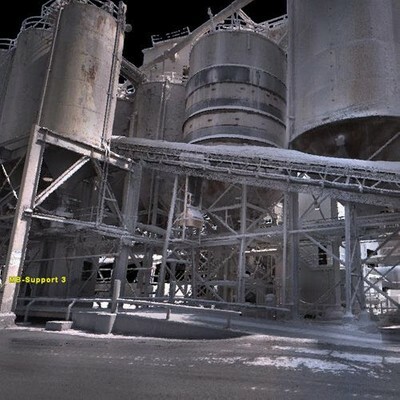 Task: Capture 3D laser scan data for a client who removes and installs steel structures in lime plants. 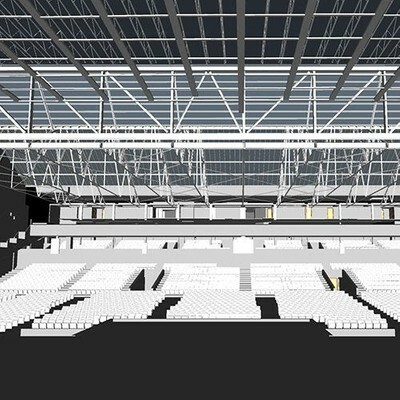 Task: Provide 3D laser scanning and modeling services of this theatre for renovation. Task: Help an industrial contractor plan for the removal of an existing tower structure and install a new structure and piping. Task: Document as-is conditions for historical documentation and design purposes. Task: Obtain precise dimensions of an orchestra pit where telescopic units will be installed. Task: Capture measurements of the building footprint and overhead utilities for the installation of a new pavilion. – K. Stone, Project Manager, regarding Andy Foshee on the Memphis Theatre.